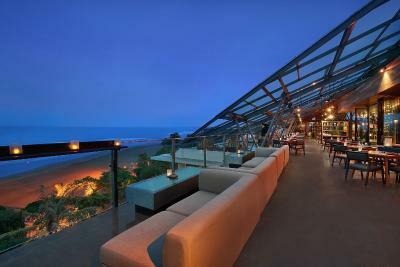 Lock in a great price for Anantara Seminyak Bali Resort – rated 8.4 by recent guests! The property is on the beach. That is the only good thing. The staff is really amazing! Very kind and attentive. The food in the hotel was also good and fresh . The rooms are very large and cozy. The price for ocean view is worth it! Location: directly at the beach , relatively close to walk to places. I liked the location of the resort and everything about the resort except the values of everything !!! I think it’s a bit too much . On the beach ..private pool suites were awesome .. great staff.. Melanie deserves a mention ..
Great location. Friendly staff. Comfortable bed. Fantastic ocean view. Awesome breakfast! 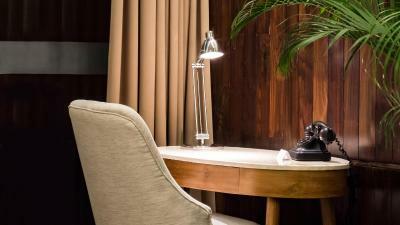 Eco friendly, paper straw, big modern room, very attentive staff. Amazing sunset from restaurant. The breakfast is incredible and the location perfect being right in the heart of Seminyak, close to great shopping and also right on the beach. 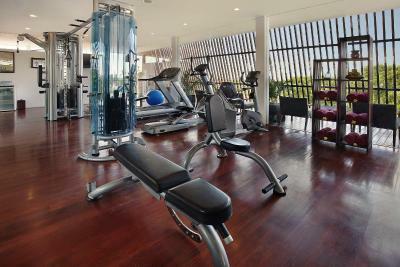 Gym facilities are also great. Anantara Seminyak Bali Resort This rating is a reflection of how the property compares to the industry standard when it comes to price, facilities and services available. It's based on a self-evaluation by the property. Use this rating to help choose your stay! 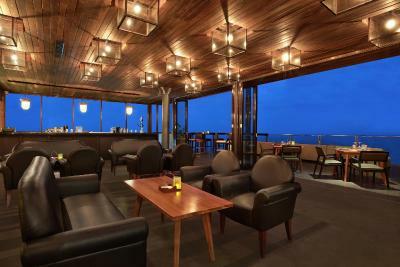 Located on Seminyak Beach, Anantara Seminyak Bali Resort offers spacious suites with sweeping views of the Indian Ocean. Its 5-star facilities include an infinity pool and free WiFi. 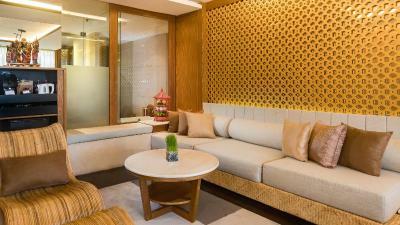 Modern decor and hardwood flooring are featured throughout the guestrooms at Anantara Seminyak Bali Resort. All rooms have a private balcony and terrazzo spa bathtub. A flat-screen TV is also included. Anantara Spa offers a variety of traditional Balinese massages and body treatments. Other recreation choices include kite flying or taking a yoga class. Car rental services and free parking are also provided. For dining options, Wild Orchid Restaurant serves a selection of international dishes, while MoonLite Kitchen and Bar offers contemporary Asian cuisine and a great rooftop culinary experience. Set in the center of Seminyak's entertainment district, Anantara Resort is a 20-minute drive from Kuta Shopping Center and a 30-minute drive from Ngurah Rai International Airport. 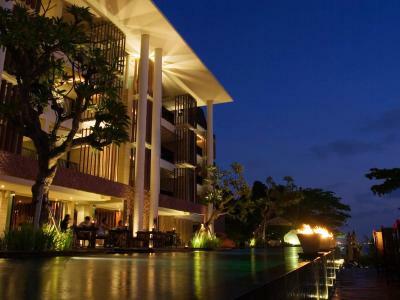 When would you like to stay at Anantara Seminyak Bali Resort? Overlooking the courtyard pool, this spacious suite features a spa tub for 2. Fitted with a flat-screen satellite TV, Bose DVD player and an espresso machine. Spacious suite features direct access to the pool. 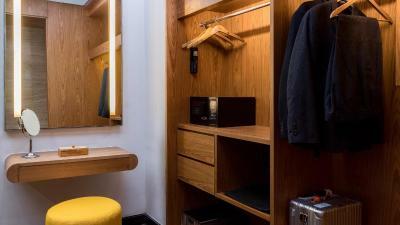 This room includes a flat-screen satellite TV, Bose DVD player and an espresso machine. Spacious suite features views of the Indian Ocean. This room includes a flat-screen satellite TV, Bose DVD player and an espresso machine. This suite features a balcony, cable TV and tumble dryer. Anantara Seminyak Bali is a perfectly located boutique hotel in Bali offering great views and super access to the best of chic and trendy Seminyak. 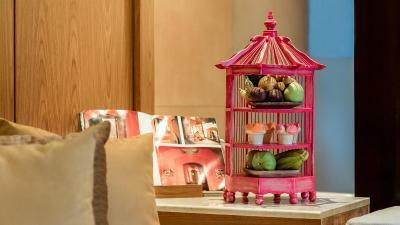 House Rules Anantara Seminyak Bali Resort takes special requests – add in the next step! Children 4 and older are allowed at this resort. Anantara Seminyak Bali Resort accepts these cards and reserves the right to temporarily hold an amount prior to arrival. Please be informed that Bali Island celebrates Nyepi (Silent) Day on 7 March 2019. It is a day of absolute silence throughout the island. The airport will be closed and no outdoor activities are allowed including check in and check out from hotels. Noise and lights are to be kept to the minimum. Please note that this property requires a prepayment via local online payment gateway to secure bookings. The property will contact guests directly to provide payment link and instructions. The restaurant food on the top floor could be improved, but not because it’s bad, it’s just trying to be more fancy than it needs to be. Some of the tiles in the pool have come away and need to be replaced. It was stunning. The staff couldn’t do enough to help and everyone of them says “hello” and asks how you are when they see you. Bits of hotel are being renovated at the moment keeping it fresh. Everything was easily accessible and the sunsets are stunning. no ventilation in the lift. I booked this hotel for our Honeymoon. 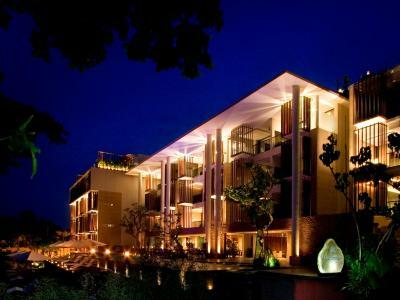 Booking this hotel as one of the brand "Anantara" resort, we were expecting "a 5-Star resort" as the Booking suggested. A shocking moment for the arrival where it looked way lower and so much older than expected. After checking the room, it was way older than what you can expect from the pictures and not clean as a 5-Star hotel. Other than the cleanliness, the balcony door cannot be closed well where the noises come into the room easily and also insects because under the door is just empty space and ANYTHING can crawl in. it started to rain at night and the air-condition suddenly stopped working in the middle of the night in the humid, very hot, and rainy whether! also, when it started to rain there was a leakage from the ceiling created a puddle in the closet area. After talking with the manager multiple times, they offered another room in a higher floor but it had the same problems as the other one and refused to refund even 50% of the payment. This will be my first and last stay at an Anantara resort. IT SHOULD BE 3-STAR HOTEL. They delivered what they mentioned.. jacuzzuzi in balcony with stunning view. I expected more prompt service, we asked for towels and it took them 45 min to get it after reminding 2 times. Cleanliness was an issue. I expect 5 star property to be spik and span, which was not the case. I had gone for my baby moon and I thoroughly enjoyed. Had a great time with great view. Lovely modern rooms, clean and fantastic views of the beach. Literally on the beachfront! Pool was great but perhaps could be bigger. Fantastic breakfast on the rooftop restaurant. Staff were super friendly and accommodating. Highly recommended! The location, the beach and the rooftop. Property is old but well maintained. It wiil attract more tourist if its renovated & upgraded. Great staff and hospitality extended by them, specially, Mr. Budar & Danny. Breakfast was great booster for starting of the day at Rooftop restaurant “MOONLITE”. 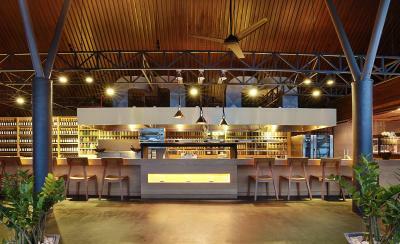 Also great food and service at restaurant “Sunset on Seminyak”. The hotel is located in a great spot. Staff was very helpful,friendly and always smile. The problem we had while staying there was when we had to wait for our breakfast for a long time one morning but they were very apologetic. The music by the pool is going on from about 4 PM till 8.30 - 9.00 PM very loudly, if you are one of those who go to bed early you might find this quite annoying. The beach itself was not a WOW beach, at night there was rubbish believed to be washed up from the ocean(huge problem around the world and in this region). But in the morning the government(or hotel - I am not sure) send their people to clean up the beach, and they do this few times a day.